The Packaging Supervisor is responsible for managing and coordinating production for the Packaging Department and ensuring production remains on schedule to meet customer demand in accordance with the Master Batch Records, quality standards, and FDA/DEA regulations. This position is responsible for the training of staff, evaluating employee’s performance, and recommending or initiating promotions, transfers, and disciplinary actions. The Packaging Supervisor is also responsible for driving a culture of continuous improvement by utilizing appropriate measurement tools and analysis to implement process improvements and efficiencies. Supervises packaging employees, assigns tasks, manages performance, motivates, and coaches employees. Ensure maximum productivity and efficiency in a safe and compliant manner. Ensures packaging performance and quality goals are met. Ensures that all SOPs and cGMPs are followed. Schedules employees, reviews, edits and submits time cards. Builds a culture of ownership and accountability. Drives a culture for continuous improvement. Evaluates employee performance, and recommends or initiates promotions, transfer, and disciplinary actions. Supports an environment of staff development and learning. Provides real-time feedback to direct reports and manages performance issues as required. Responsible for maintaining a clean and neat department in all areas. Serves as backup in all packaging functionalities. Proficient computer skills (i.e. Microsoft Word, Microsoft Excel). Must qualify as a Designated Representative (DR). Must possess strong supervisory, communications, interpersonal and problem solving skills. Must have basic accounting and ERP knowledge. Work may involve lifting of materials and product up to 50 pounds. Working in this environment requires the use of safety equipment. May be required to work longer than the typical 8-hour work day. Must maintain Forklift Training and Certification. Must be able to pass pre-employment, drug test and background check. Adhere to company’s drug-free workplace policies. Individual must be enthusiastic, concerned with job and company as whole, openness with management, and punctual. Self-discipline and a desire to achieve results. Must be flexible. Must be detail-oriented. Team player, professional, and achieve high quality results. Minimum of 2 years of manufacturing operations experience. 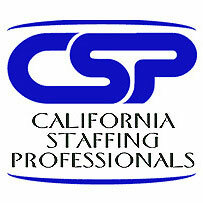 Our client is an equal opportunity employers and value diversity at our company. They do not discriminate on the basis of race, religion, color, national origin, gender sexual orientation, age, veteran status, or disability status.